As part of its "Panda Route" international flight development programme, Sichuan Airlines has unveiled newly-designed cabin crew uniforms this week. 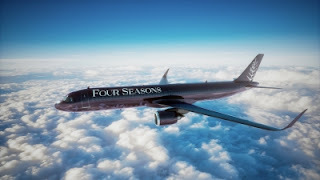 The classic red-and-black design symbolizing passion and rationality aims to promote the airline's image and raise its profile on the global stage. 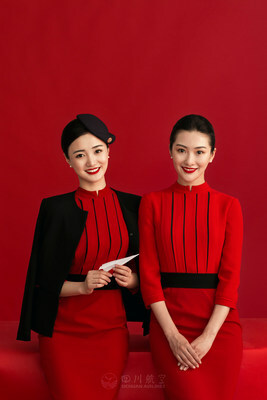 Inspired by Sichuan Airlines' theme colour, "Sichuan red," the ladies' new uniform is composed of a red one-piece, a black blazer, a red blazer, a black winter wool coat and a black hat. The gentleman's uniform features a white shirt with red stripe design and a splash of red on the blazer pocket to echo the ladies' dress. The airline now owns the largest Airbus fleet in China with a total of 134 aircraft so far which is increasing with the arrival of the new A350s. The carrier is a growing force in the Chinese aviation industry, with 270 "Panda Routes" connecting Asia, Europe, Oceania and North America. The airline carries more than 29 million passengers each year.